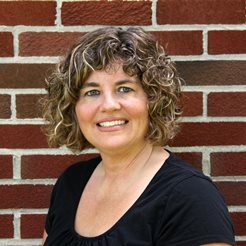 I love to cook everything I can in the slow cooker, especially during the winter months and on busy days. 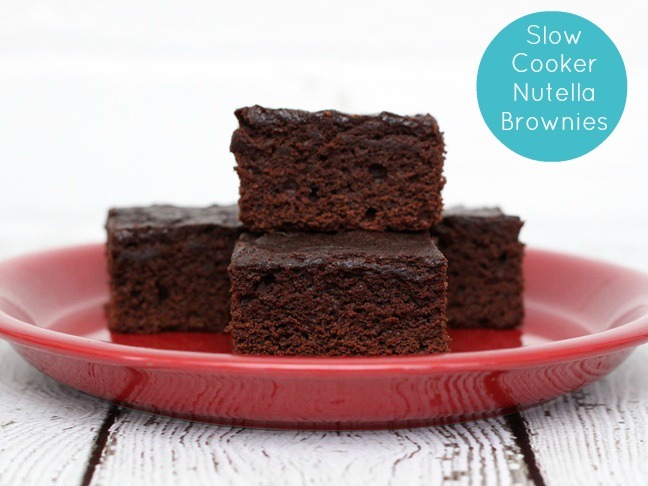 I never thought about making slow cooker desserts, but there are several recipes popping up lately for cakes and brownies, so I thought I’d give it a try and make some slow cooker Nutella brownies. Cook up some chocolate-y goodness while you multi-task! 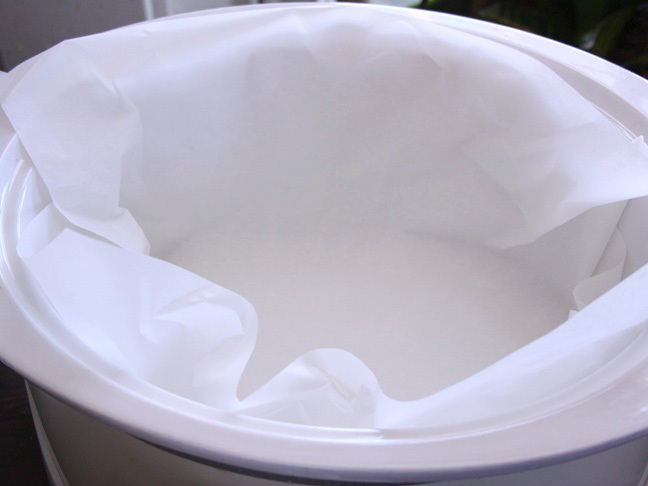 Step 1: Line your slow cooker insert with a large piece of parchment paper or coat the inside with cooking spray so you can get your brownie out easily when it’s done cooking. 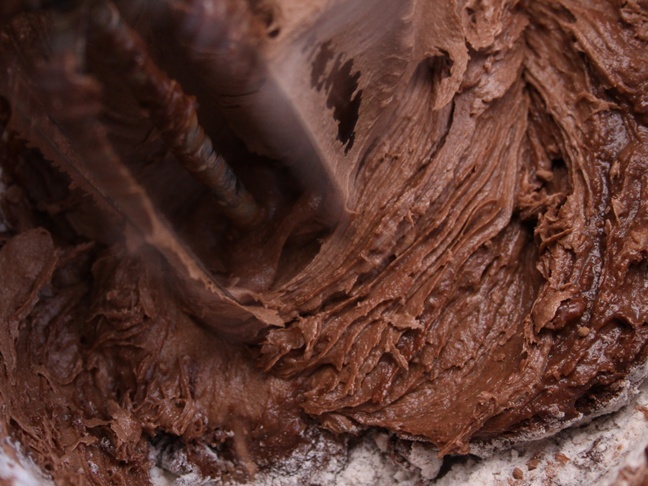 Step 2: Sift the flour and mix together the cake flour, cocoa powder, baking powder, and salt in a medium mixing bowl. 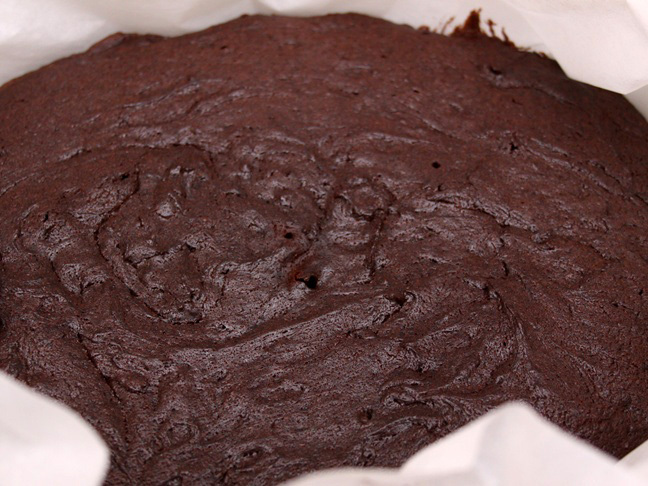 You can use regular flour for this recipe, but cake flour will give the brownies a finer texture. You can find cake flour in the baking aisle of most grocery stores. Step 3: In a large mixing bowl cream together the Nutella, butter, and sugar. Step 4: Add the eggs to the creamed mixture and mix until the eggs are incorporated into the batter. Step 5: Slowly add the dry mixture into the butter and sugar creamed batter and mix until thoroughly combined. Step 6: Stir in the mini chocolate chips. Step 7: Spread the mixture evenly into the sprayed or parchment-lined slow cooker insert. Step 8: Set the slow cooker to low and cook covered for 2 to 3 hours. 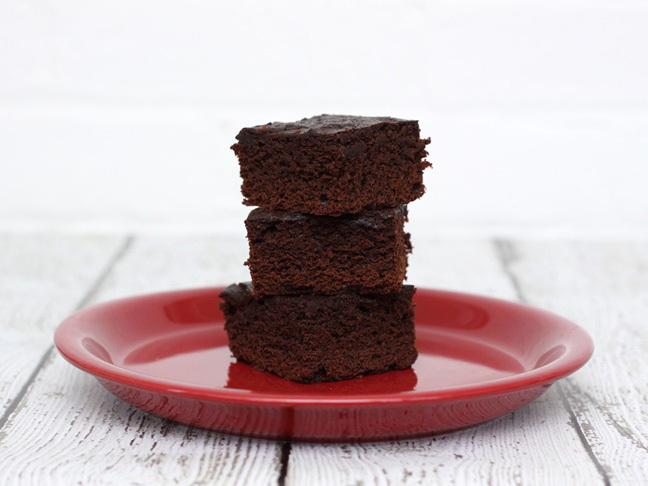 The lower cooking time will yield chewier, moister brownies; the higher cooking time will yield lighter, more cake-like brownies. Step 9: Turn off and uncover the brownies and let them set to cool for about 10 to 15 minutes. 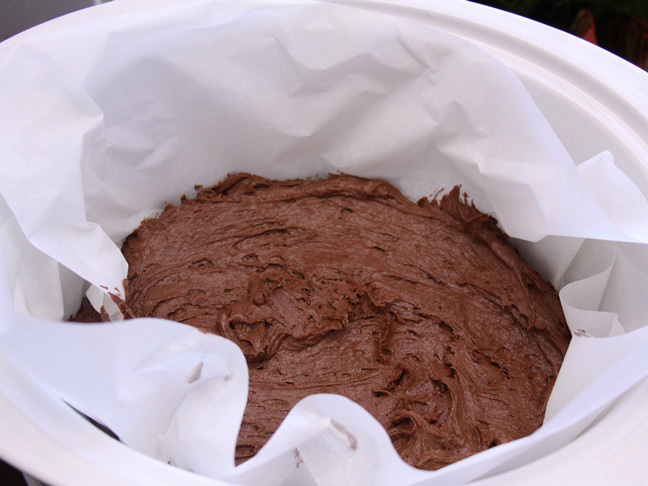 Step 10: Remove the brownies by pulling out the parchment paper or inverting the insert onto a cooling rack. Step 11: Let the brownies cool on the rack before cutting them into squares, or serve them up warm and gooey with a bowl of ice cream.